We want you to be confident that you will have a warm, comfortable setting for labor, delivery, and recovery. Knowing what to expect when it comes time for labor and delivery can ease any anxiety you may have about the birth process, especially if this is your first baby. Expectant parents, this complete maternity experience will guide you through what to expect from your first steps into the hospital until you leave our maternity unit with your beautiful baby. 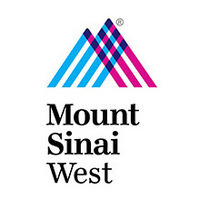 Free, for adults only, convenient tours of all the obstetrics facilities at Mount Sinai West, including the Labor and Delivery Suite and the Postpartum Suites, are available twice a week, on weeknights. It is extremely rare for tours to be cancelled, but if extreme weather conditions or unforeseen circumstances occur, there will be a message posted by 4pm day of the tour. No registration required. Tours begin promptly from the Main Lobby. The tour hostess will meet guests on the right side of the Main Lobby . We respectfully request you to arrive 10 minutes early. Tour length is approximately 2 hours.